Influencer marketing has taken over Instagram and Facebook alike. Beautiful models with idealistic body types target millennials with current trends and merchandise to invest in. The influencer marketing strategy is attractive to startup brands because it provides accessible marketing from popular and persuasive accounts. Brands will trade their products and discount codes to an influencer account in exchange for advertising the brand to their followers. The influencer provides an impactful advertising force that brands don’t always have the capacity to create. How Did Gymshark Gain Exposure? If you scroll through the Instagram popular page, there is bound to be a fitness model exhibiting a workout trend. The fitness influencer flaunts not only their incredibly ripped body but, the activewear she or he is wearing. Gymshark started in 2012 by Ben Francis and within less than a decade he has turned his online business into a million dollar fitness empire through influencer marketing. The founder of the company discovered influential fitness gurus with a large online presence. Through sponsoring these athletes, his brand was able to gain the trust of millions of followers. Marketing can be a huge liability for a brand that is still finding a clear image to drive their sales. The influencer provides a middle man for the brand that is still finding a voice. The impact of one influencer can surpass an expensive ad campaign for an unknown brand. The trouble with the popularity of influencer marketing has led to a lack of trust in some brands and their products because of their support in fake accounts. It is important to find real accounts with real followers in order to create a trustworthy voice for your brand. If a brand does not proceed with caution when creating a relationship with an influencer there can be a conflict of interest when it comes to the company’s ideal marketing strategy. Focus on finding an influencer with a large loyal following and values that align with your brand. In doing so, using this influencer marketing strategy will create an unstoppable force for your brand to use! Creating an online presence is essential when entering a job search. It is essential that an employer be able to find you on social media. This allows the recruiter to find any mutual connections, verify past experiences, and gain more insight on who you are. But, it is crucial to remain smart about what is put on social media channels. Remember the aspects that will aid in your job search, but also remember to omit those that will hurt you. Create a profile on channels such as LinkedIn, Twitter, and Instagram. This allows employers to gain more insight on your personality that they would not otherwise see from a resume. LinkedIn creates professional connections and even notifies you when there is an opening at a company you follow. It is important, however, to always stay active on updating professional experience as relevant. All relevant personal and professional information should be most recent and updated when you begin your job search. Be sure to update all social media profiles as it’s relevant. By staying on top of updating your profile, it ensures that a possible employer is seeing the most recent job experience, location, etc. But, also being consistent in posting relevant material on social media shows a possible employer that you are up to date on trends and current events. It also can give them current insight on your life that they would otherwise not see on a resume. Job recruiters have ways to see what you post, even with a privacy setting. So don’t post your underage party pictures or tweet about controversial subjects. But, reposting an insightful article about the industry you wish to enter or retweeting an image that speaks to you shows a job recruiter that you care. It shows your knowledge on the industry and that you are interested in learning more. It reflects your interest in the industry which, in turn, shows your interest in the position. Be insightful with who you connect with on social media. You must value quality over quantity and think about what this person can do for you professionally. Your connections are a reflection of yourself. Connecting with an individual who has the potential of spamming your profile or has a bad reputation in your city can reflect poorly on you. Be smart with who you connect with and look at the credibility in their profile before clicking accept. Lying about past experience, no matter how small, ruins any credibility you had. Some industries are very small, especially in certain cities. So, by lying on your social media about what seems to be one miniscule piece of information, it can spread quickly to companies by word of mouth. Remain honest in how you were let go from a position or why you left a position. Stay honest about the time you spent at a company and the position you held. Keep your credibility and show a company that you are trustworthy. Stay off Facebook, Instagram, or any social media channels while on your boss’s dime. Unless it is relevant to the task you are given, it is unprofessional. Companies can track what you do while utilizing their Wi-Fi, so unless it is inherent that you use it to complete the task you are given, stay off it. So, you’ve finally figured out social media…or so you thought. New features on social media have taken your content potential to a whole new level. From Instagram stories to Twitter polls, online engagement is higher than ever. So if you have the right content, how can you make sure that your posts are noticed? Your problems can be solved with the right posting assistance tools. In this post, we’ll share the top apps for social media publishing. Focused on Instagram? Later is your go-to publishing app. As an official partner of Instagram, Later lets users schedule posts in order to optimize their visual content and Instagram presence. The app gives the user the option of text notification posts as well as automated publishing. Our favorite feature is the real time post preview! Buffer is a one-stop shop when it comes to sharing and scheduling posts to Facebook, Instagram, Twitter, LinkedIn, and Pinterest. All you have to do is add any text, link, picture or video and click “Buffer” and it will automatically schedule to post later in the day. The Custom Time feature allows you to schedule your posts for specific events or campaigns. After each post, Buffer will analyze the performance with an update on clicks, retweets, repins, likes, shares and more! Scheduling is important, but how can you create a schedule if you don’t have any content to post? Feedly is here to help. This program organizes, reads and searches stories and content that fits your brand. Feedly discovers the best of the web, including Youtube videos, trusted publications, tweets, blogs, and keyword alerts. This app can be used in conjunction with any social media publishing tool in order to maximize exposure. Thanks for checking out our post! Let us know in the comments below what your favorite apps for social media publishing are. Want your brand to be seen by the world? Facebook is your best option. With over 2 billion users, Facebook is the top social media site that allows users to stay in touch with their family and friends. Along with personal users, Facebook allows businesses to make pages. Business pages allow companies to update and interact with their customers. We are here to give you tips on how to make a successful Facebook business page. According to a study done by sproutsocial, the best times to post are between 10 a.m. and 1 p.m. on the weekdays. Posts in the early morning and evenings typically do not do as well. Take these tips into consideration the next time you post and you will learn what time of day works best for your page. While it may seem like more posts will get you more attention, recent studies have proven the opposite. According to a study by HubSpot, organizations that posted 60+ times a month received 60% fewer clicks than organizations that posted 1-5 times per month. All in all, quality is more important than quantity. Do: post content relevant to your brand. Content can be both original and reposted. Either way, all content should be relevant to your brand. Always keep in mind why your followers are actually following you and what they want to see. If it does seem “random”, use your caption as a space to explain to your audience why it is relevant. Although your followers may identify with your organization’s mission, that does not guarantee their political stance aligns as well. It is best to practice posting messages and images that do not contain political biases. Remember, the internet is forever– think before you post! Don’t Bust the Digital Marketing Budget! Digital Marketing programs are faster and more efficient for organizations to utilize. They are extremely convenient for both consumers and business, however, they cost money. Digital marketing requires investment from companies, and when done correctly, this investment will yield a significant return on investment (ROI). The amount your company budgets for digital marketing is dependent on your goals. Here are some ways to prioritize your digital marketing budget resources. Designate time and energy to create a well-written strategy for digital marketing. It is essential to set goals and objectives for your marketing and allocate funds to meet these goals. The cost of digital marketing is dependent on your specific goals. Money should be spent on opportunities that will likely yield strong results. Be familiar with your audience’s needs. Spend money targeting tailored messages to that audience utilizing the appropriate channels. The more time spent on research up front will save your company money in the long run. Money should be set aside for market research so that the company can best identify the most effective means of marketing communication and drive the best results. There are rarely fixed-costs in digital marketing. Promotions such as Facebook and Google Ad campaigns vary in pricing. Estimating costs can be a difficult task. Be aware of hidden costs such as built in fees and under budgeting estimated costs and dedicate time to research, content creation, and data analysis. Plan for hidden costs. If you fail to acknowledge the spending possibilities, you will not have a manageable budget. Always be one step ahead. To effectively budget for digital marketing, prioritize maximizing profits and minimizing costs. Monitor the success of your strategies and identify what works and what does not. Be aware of the results that yield from your efforts in order to maximize your digital marketing budget. Spend on smart, strategized marketing rather than spending on marketing in general. There are many tools you can use to analyze the success of your digital marketing efforts. Check out some more information on how to evaluate the success of your efforts. Stickers, music and GIFs, oh my! Are you ready to embrace the powerful Instagram Stories tool? Read on for a step-by-step guide on creating beautiful, engaging Stories to expand your reach and interaction with your audience. Instagram Stories are on the rise. Producing content for Instagram can feel like a full time job, and Stories are in a league of their own. However, Stories serve a different function than a traditional static post. Over 400 million people use Stories daily. From following along with your favorite brands and influencers to connecting with friends, the Stories feature allows several different types of engagement. The power of Stories lies with the exclusive, personal experience that connects your organization to its followers. Since the posts you create in this feature are time sensitive, there is a sense of urgency around the content. Use the Questions sticker to gather responses from your audience in real-time, take a Poll and share the results or add music to a Boomerang to engage with your audience. These features allow you to create truly unique content that will only leave your followers wanting more. There are several different categories your potential Story content will fall into: Tutorials, user generated content, behind-the-scenes and special announcements. You can also use Stories to draw attention to a new static post. Oftentimes, your followers will see the Story before the static post and will redirect their attention to your page to check out the new post. The same rings true with static posts: don’t be afraid to point your followers to your Stories in the caption! As the popularity of Stories continues to grow, follow these tips to keep your content on par: use a variety of video, Boomerang and static photography, keep your writing clear and concise and incorporate interactive elements whenever possible. Instagram Stories are a great way to have fun with your followers! Twitter is a platform that is most difficult to master, especially when it comes to an organization. It is often overlooked and most don’t understand how to maximize an organization’s presence. But, with these 5 easy tips, understanding Twitter and enlarging your presence will be easier than ever. Utilize words that the audience is most likely to look up. These are words that have anything pertaining to what the organization does, its core values, and key distinctions. Twitter has even published an article discussing how to maximize the usage of key words in relation to establishing an organization’s presence. Use these words that the target audience will look up. Drive the audience to the organization’s Twitter page and, in turn, the audience will go to the website or other social media pages. Hashtags, especially popular and catchy ones, will drive traffic to the organization’s page. Coming up with a phrase that is two, maybe three words long and making it a staple on all relevant tweets will make the organization’s content seem more interesting. Also, when a hashtag is catchy, it becomes memorable and that is how potential clients and the public remember the organization initially. Catch the attention of influencers with a high following and high engagement. By targeting tweets towards these influencers, it creates the hope that it will catch their attention. By drawing these individuals to the organization, it also creates a bigger buzz through word of mouth. But, the most important aspect is that these influencers will eventually begin to tag the organization’s handle in their own tweets. Followers of these influencers will begin to take notice and will therefore be drawn to the organization’s Twitter page and eventually the website. It used to be that Twitter only allowed 140 character tweets. Now, with the expansion to 280 characters, it can be tempting to try and fill the space with as much writing as possible. However, making sure that the tweet is straight forward is more important than the fluff that can be thrown in there. Potential clients and fans of popular organizations want tweets that will be short, concise, but are also attention grabbing. In this case and because space is limited, less is always more. It isn’t necessary to fill all 280 characters if it doesn’t make sense and the audience isn’t interested. Create a single sentence that will draw in the audience and leave them constantly checking back for more tweets. For any organization to create a successful presence on social media, consistency is key. But, this is especially true when it comes to Twitter. Because Twitter is a fast-paced media outlet, it is especially important to remain up to date. Followers are always looking for updates and when an organization goes long periods of time without tweeting, followers become confused and uninterested. This leads people to unfollow the account and therefore forget about the organization. Keep followers interested and remain consistent. Twitter is a difficult platform to master, but following these 5 tips will insure the perfect baseline to creating a successful presence. What PR Professionals Need to Know About Facebook. Facebook is an ever-changing social media platform: keep reading to find out how to stay on top of one of the most popular social media sites worldwide. Facebook is one of the largest social media platforms in the world. With over 2 billion users, the majority of the world is connected through this site. For your organization, understanding how to build and maintain a substantial following is the key to the success. First you must create a Facebook page. This is not a group or a person. This page represents your organization as an entity and can be viewed and followed by the public. There are also features such as Facebook Live and Facebook Stories. These are extremely important to utilize to convey your message. As previously mentioned, your organization exists on Facebook via a page. You can create one by going to facebook.com/business, and choose “create a page.” From here, you have the option of small or large business, brand or product, and more. Customizing your page to represent your organization is important so that you can reach as many people as possible. Connect to people with Facebook groups. On this page, you can repost content from your organization’s website. Additionally, you can post articles and promote other social media from within the Facebook group for your organization. The bigger your following grows, the more attention your organization gets. Also, this is a good tool to use to make big announcements or statements. Facebook groups now have the ability to utilize the story feature. Stories are a place where organizations can post content for only 24 hours. This remains at the top of the screen and users are notified when it is posted. Stories are a great way to interact with the group and to keep users interested. By sending the notification when your organization posts a story, they are automatically drawn back to the page. It will increase traffic and popularity for not only the group, but your organization. Facebook is such a popular, well known, and universally used social media platform. Therefore, it is important for organizations to understand how to utilize it to the best of their ability. By creating a group and growing a following, you can reach hundreds of thousands of users. 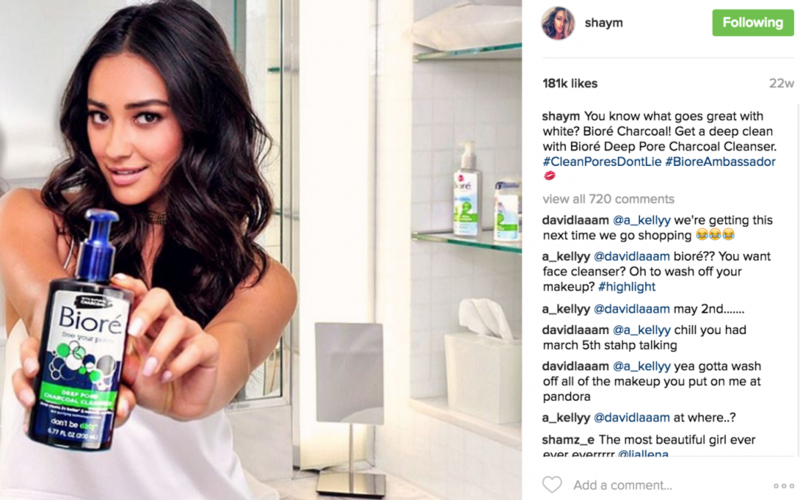 How Can Instagram Influencers Elevate Your Brand? 2019 is the year of Instagram influencers. Read below to find out why! Social media platforms are now home to the world’s most successful, engaging influencers. Brands form partnerships with influencers, in exchange for social media promotions and advertisements. These brand-influencer relationships drive awareness to the brand, create social buzz, and establish a product’s credibility. Ultimately, a brand-influencer partnership is a win-win scenario for both parties. Are there different types of influencers? Yes! Social media is filled with a diverse, vast amount of social media influencers. Each influencer has their personal niche, audience, reach and personality. Typically, macro influencers have a high engagement rate and a large following of thousands or millions of users. Examples of macro influencers are Kim Kardashian, Lady Gaga, and Justin Bieber. On the other hand, micro influencers are individual accounts with a smaller following. This number ranges between 2,000 to 30,000 followers. While a low following number looks unattractive to brands, micro influencers produce content for a targeted audience. Typically, micro influencers are more personable – therefore, allowing their followers to form trust and credibility with represented products and brands. To read more about macro vs. micro influencers, click here! Selena Gomez, a macro influencer, is one of Instagram’s most followed individuals. Where do I find influencers to partner with or follow? To begin connecting with influencers, start by checking out relevant hashtags. For example, a fashion influencer will most likely hashtag words such as, “#fashion or #style”. By clicking through relevant hashtags, a user or brand will find relevant posts and accounts that relate to that topic. Besides checking out hashtags, look at who other notable brands are following or frequently post with. For example, high-fashion brands will most likely post about or with Instagram influencers. What are certain factors to consider when partnering with an influencer? Before forming a partnership, a brand must ensure that the influencer’s content aligns with the company’s target audience, values, and style. Next, a brand must determine that the influencer has a high level of engagement, a frequent posting schedule, and an aesthetic feed. An accurate example of an influencer collaborating with a brand. What are red flags to consider before forming a brand partnership with an Instagram influencer? Before forming a relationship with a social media influencer, brands should keep an eye out for any potential red flags. For example, red flags would include repetitive, low-quality, or infrequent content. If an influencer fails to engage with their audience, followers tend to lose interest in his or her content. It is important for an influencer to not only stay connected with his or her followers, but remain on-brand at all times. Ready to begin following Instagram’s most notable influencers? Click this link to see Forbes’ top 15 Instagram influencers. We can all empathize with the struggles of social media. Whether it’s not knowing when to log off, posting to much/not enough, or even the ever-growing unrealistic posts that are slowing clogging our feeds and our minds. What’s important is to realize that this is a struggle for anyone who has a social media account. Some see the simple solution of just deleting your accounts. But is it really that simple? In this day in age, it’s not. Deleting all accounts is simply unrealistic. Social media is as much as a blessing as it is a curse. Now that it’s readily available across the globe, its necessity. Now we’re met with two options: admit defeat or figure out how to healthily navigate the turbulent maze that is social media. Let’s keep it simple: stay in touch with reality. Social media is great for helping us connect and keep in touch with people we care about but it comes at a cost. As inspiring as it can be, we need to remember that not everything is as it appears on a post. Looking at edited, perfect posts can take a toll on your view of reality. Don’t forget: what people post is not a reality. It can symbolize what they wish was real but nowadays its extremely rare to see a post that hasn’t be edited. Also, don’t forget to look up. We get engrossed in what’s on the tiny screen in our hands and forget to enjoy our everyday surroundings. Some might say LinkedIn is a little late to the live-streaming party… but better late than never! In mid-February, LinkedIn added a live-streaming option to its network called “LinkedIn Live”. Give this new feature a test run and go live with LinkedIn Live! Video features began to launch back in August 2017 on LinkedIn. Since then, live-streaming has been the most requested video feature for this professional social network. Initially, the new feature will only be offered in America via invite-only. If you want to be one of the first to test this feature, you can apply through a contact form in the coming weeks. If things go well with LinkedIn Live, expect a broader rollout of people going live with LinkedIn in the future. Live-stream has a major impact on the world today. It changes the way we receive news. It allows people to inform and learn globally. It assists businesses with educating customers on products. The list goes on and on. Live-streaming in our world today gives people the power to share content. Start taking advantage of this feature and begin incorporating it into your lifestyle. Where Do This Feature Add Value? Interactions are now more engaging and timely. LinkedIn’s social innovation strategy aids in establishing, cultivating and sharing big moments digitally. The positive impact is already noticeable. How Does This Benefit PR Professionals? Now, you have the ability to gain audience insight. You can see views, comments and engagements instantly from LinkedIn Live. Plus, you can see the profiles of those engaging. Such insight gives you and your company the tools to understand your audience. This useful information is located on the LinkedIn dashboard section on your profile. It is safe to say that LinkedIn was a little to the live-streaming party. Neverthless, the addition of live-streaming was incorporated at just the right time for this platform. LinkedIn encouraged user feedback. They listened to users’ requests. Then, LinkedIn gave their audience just what they wanted – live-streaming. Social media is the voice of your brand; therefore, you need to understand each social media platform before creating a social media strategy to target your consumers. It’s clear, the digital world is constantly changing and adapting. Even if you do not consider yourself tech-savvy, understanding the fundamental basics of each social media platform is a great place to start. This article is a step-by-step guide to solving all your problems in the social media world. These are the four core social media platforms – Instagram, Twitter, LinkedIn, and Google+ that this blog will teach you and the benefits of each channel. First, you need to ask yourself several important questions like, “How will your brand efficiently communicate with your consumers?” Furthermore, think about what type of personality do you want your brand to convey to your audience? Another important question to ask yourself is, “What are your goals?” Perhaps you are looking to drive sales or build strong brand awareness with your consumer base. Setting simple goals will point you in the right direction, so make sure you have a clear understanding of what you want to get out of your brand’s social media marketing efforts. · Determines the number of impressions and reach your post had on your audience. · Builds brand awareness by establishing a personality to your brand. · Allows for instant gratification with instant postings of images or video content. Twitter is considered a staple social media channel that offers a variety of benefits to your business. For example, Twitter is a great way to reach your target in an efficient and informal manner. When you tweet on this platform, Twitter only allows for 280 characters per post limiting what information you put out there. Usually, information placed on this platform is considered timely, relevant, and informative. Below is a list of ways Twitter can boost your business plan. · The power of sharing. People use this platform because they can quickly access information as well as easily like or share with others with just a click. This allows your business to stay on top of quick and up-to-date information. · Use of keywords and hashtags. This allows for efficient and effective research with your current audience. It also provides insight into what your target audience likes, shares and/or dislikes. · Increase brand awareness by ranking higher on keyword searches. · Helps to produce engaging and useful content on a regular basis with consumers. · Helps to connect with others, ranking your page higher than your top competitors. · Growing your LinkedIn network can help to generate leads. This tool can help you to find connections with others you may have otherwise missed. · Establish your credibility by sharing educational and valuable content. Now that you have a basic understanding of these four core platforms, you can evaluate your options when building a social media plan to help grow your brand. Each of these platforms provide a variety of unique benefits; therefore, invest your time in learning more about each of them when developing your business plan. Click here to find out more about the benefits of social media marketing. In efforts to boost your brand’s social media awareness, it’s crucial to truly grasp your own understanding of all the voices of social media. An approach to tackle this objective is by advancing your social thinking. Start now by listening closely to these tactics that will help drive your brand into reaching their ultimate goals. As communication professionals, we must know how the voices of social media, particularly Facebook, Linkedin, Instagram and Twitter, can be used to produce favorable brand goals. Before looking inside all channels, it’s important to recognize how social media platforms don’t come in all shapes and sizes. In other words, there is not just one formula to plug into each platform that magically guarantees success. Like Channing Tatum, you’re wrong. Because each channel requires different personalities, we must decide which channel works best to match with your intended audience. As professionals, it’s our job to match these personalities with the specific audience to the particular tone of your message. A way of doing so is by distinguishing the strengths and weaknesses of each channel. Complete this by researching which demographic is used by each channel. For instance, Facebook largely attracts most of its common users ages 25 to 34. Knowing what channels each demographic spends most time on can help us use our channels to work together. We can attract that demographic of audiences to the brand’s website by placing the website’s link to Facebook pages. The list of social media platforms below feature the real reasons why audiences use them. Learning these voices allows us as professionals to take them into consideration while forming proper messages. Understanding the use of each platform will ultimately improve the relationship your brand has with their publics. This online machine is king to a system of many facets. From the friending system, to posting galleries of photos, videos, and statues on timelines, the site is full of opportunities in the marketplace. Known as “The Scrapbook of Your Life, ” the platform captures milestones of users who are able to access groups and official pages of organizations. The online function uses quick interpersonal communication, with some level of personal contact. It is noted how Gen Z is moving to Instagram and using Facebook almost 20% less. This platform is open to photo and video sharing and enables its users to involve in social networking by sharing their own content. The stories feature is gaining in popularity by promoting the balance of fun, personal information with promotional reward. Some refer to the channel as “show and tell,” as members promote their content full of creative, fun, and inspiring photos. Instagram is becoming more popular among teens and tweens, ranging from 13-30 years old. The “social network of the business community” is primarily used for professional networking, job posting, with features of general business news. The resume-like profile of members allow users to showcase their background by creating their own network of direct connections. This works by adding users to their network. LinkedIn pages also feature status updates. Interestingly so, the platform is evolving to be less strict on business-orientated messages and more brand useful. More than 3 million users are on Linkedin in 200 counties. Micro blogging allows all followers to converse using hashtags by curating their own “tweets.” Tweets consist of a 280 character limit that produce conversations that are quick, staccato, and relevant to that member. Some refer to this platform as a chaotic mess. These short bursts of information use special techniques, such as “@” to precede a username and “#” to precede a grouping. Original users intend to use this platform in order to receive first hand national and local news, while also joining in the conversation of quirky things. Although short, a tweet can humanize societies and can be beneficial for audiences to receive short updates from their desired brand. In 2019, everyone is concerned about how their life is presented through Instagram. What colors cohesively work together to bring their Instagram feed to life? What tags will direct the most followers to their personal page? Instagram influencers lead the millennial world in the way they attract these followers and keep them engaged through the vibrant stories they tell through this platform. Now, the saying “No Filter” is almost as satisfying as a damn good selfie taken in one shot. However, a filter can be the attributing factor to a colorfully soothing and well blended Instagram. First, decide on a theme to follow. Whether the colors consist of cool blue tones or fiery warm reds, the color consistency creates a unified look to your profile. For the users that want to venture away from the classic Instagram filters like Nashville and Mayfair, the App Store holds many options for photo editing applications such as Adobe Lightroom, VSCO, and Afterlight. Nothing is more exciting than posting a beach pic from last spring break and tagging “Cabo San Lucas”! Half the fun of Instagram is bragging about where you have been. A great way to keep track of all the fun restaurants, city spots and travel destinations is to tag the location the picture was taken in. This will include your spunky photo on the public page with all the other photos taken in this location. There are so many ways to improve your Instagram account to make it unique compared to the thousands of others out there. The best advice, however, is to be yourself. Whether it be a picture of your favorite hiking trail or a dinner at the hottest new restaurant in town, find what gives you passion and share that with the world in the best light! What’s the difference between social media and your average human? Social media never sleeps. This dynamic outlet is a place where information and ideas are constantly shared. It is also a place where content accumulates around the clock. The daunting task of managing a non-stop online community leaves little to no room for social media managers to rest or take time off. Hootsuite, and other social media management tools, keeps social platforms active so you as the social media manager can be inactive. Just because social media never sleeps doesn’t mean you shouldn’t. Go ahead and take time off; Hootsuite has you covered. Hootsuite, trusted by 16+ million users in 175+ countries, manages your social media. It offers assistance when it comes to monitoring continuous activity. This management tool allowing users to administer multiple social media platforms simultaneously. With a customizable dashboard that displays all digital accounts, monitoring numerous accounts is much simpler. Spend less time managing each platform and use that time in a more productive manner. Save Time. Remain Active. Schedule Posts. With the ability to schedule posts, Hootsuite keeps social platforms active when employees are out of town or overloaded with other prominent tasks. Social media monitoring just became easier. Hootsuite’s mobile app lets you edit, approve and manage scheduled post from anywhere. The social media management tool keeps all social platforms active and easily accessible even when you are miles away from the office. With Hootsuite, you have the ability to invite employees to manage and monitor social media while you are away. By granting employees permission to access the Hootsuite rather than giving them a password, your company’s digital presence is more secure. This method reduces the risk of security breaches as well. As a result, suspicious activity ultimately declines. Due to this feature, your company can upholds its credibility at all times and in all place. It can be hard to disconnect from social media when it is your job, but with Hootsuite, unwind and unplug without your followers knowing the difference. A great example of utilizing hashtags. The 2018 Instagram Engagement Report showed that 81% of businesses use engagement as the #1 metric for success on social media. The risks of paying for likes on Instagram has sent companies searching for more organizations ways to increase interaction and activity on their pages. Read on for three tips on improving engagement on Instagram. Start a conversation. The best way to interact with followers is to invite them to join the conversation around your organization. Utilize the Stickers available in Stories to ask questions, take polls or start a countdown. These tools allow your followers to share their personal experiences with you and create a more connected audience. The Questions sticker can be used to help your followers get to know your brand better, learn more about your products and feel like a valued part of your community. Use the Poll and Vote stickers as a quick way to gauge interest from your followers as well as a encourage active participation in your content. Write longer captions. Part of the Instagram algorithm that affects how often and when your post is seen by followers is the time spent by users viewing the post. Longer, attention grabbing captions can increase the time followers spend viewing your post and may also prompt them to like, comment and share it. Encourage your followers to tag friends in the comments and ask them a specific question to continue to the conversation. Social media is a platform that is designed for engagement, but you must create original, thought provoking content to utilize the fullest capabilities of the tool. Utilize hashtags. Hashtags are a great way to widen your reach. The Instagram Explore page allows users to discover new relevant content, decided by the algorithm. An important factor in the algorithm is the use of targeted hashtags to categorize content. Instagram Insights even gives you the ability to analyze the effectiveness of your chosen hashtags and shows you how many users discovered your profile through them. These three tips will help you organically increase your engagement and impression of Instagram content, but the best advice to follow is to remain authentic. Users want to engage with relatable, thought provoking content which will flow best from an open and honest point of view from your organization. Happy posting!